I'm sorry for not doing these for the last few weeks - I was out of town on a college photography trip and then it was my birthday (WOOT!) and now, everything is finally back on track. (Except for exams SIGH) but here's a fun fact - I BOUGHT ALL OF ONE BOOK ON MY BIRTHDAY! This is huge for me because I usually splurge and just make my TBR bigger but I manages not to this time YAY! I did receive a lot of books for review, though, and I'm SO SO excited to dive into all of them. 1. 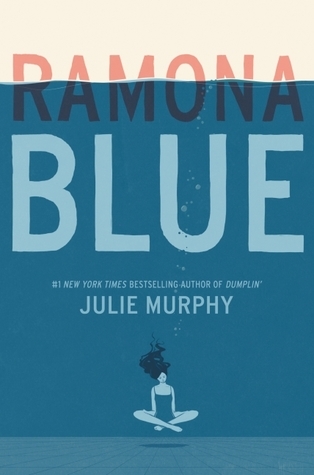 Ramona Blue by Julie Murphy: I absolutely loved Dumplin, which was, coincidentally, the very first book I received for review from Harper Collins India. I have so much swag for this book, and it looks absolutely stunning. I've heard most people say that it's even better than Dumplin' and I can't WAIT to start reading sometime this coming week. 2. 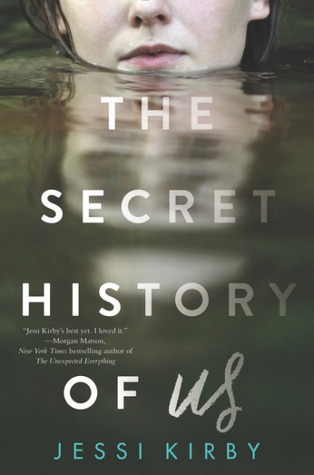 The Secret History of Us by Jessi Kirby: I read the first five chapters of The Secret History of Us on the Epic Reads First 5 Feature and it was SO INTRIGUING that I simply had to request it to find out what happened after those five chapters. I can't wait to see what twists and turns it holds for me! Also, how eerie is the cover? 3. 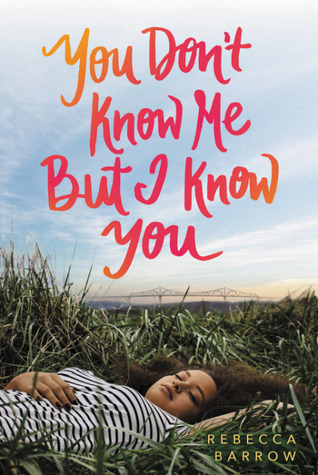 You Don't Know Me But I Know You by Rebecca Barrow: I was so excited when I saw Rebecca Barrow's book on the list of Harper India's Releases because it's been on my radar, and after I interviewed Rebecca for my Meet The Authors August, I KNEW I had to have this one too. The spine of this book is pink and oh so pretty! I can't wait for this book to emotionally wreck me. 4. 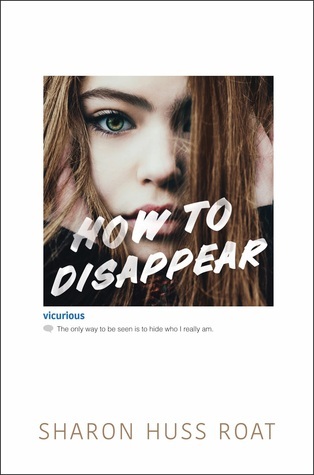 How To Disappear by Sharon Huss Roat: I've had this book on my radar ever since I saw it on the author, Sharon Huss Roat's, Instagram and also followed the Vicurious instagram account. It sounds so good and I was absolutely thrilled to see it being released in Hardcover here! I can't wait to start. 5. 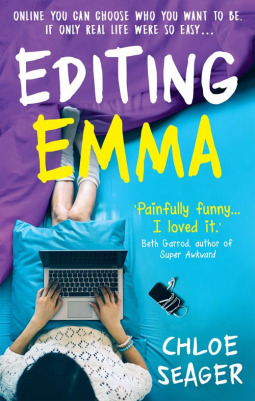 Editing Emma by Chloe Seager: I finished this book earlier this week, and I really loved it. It managed to capture the madness of being a teenager, while being slightly annoying and also hilarious. 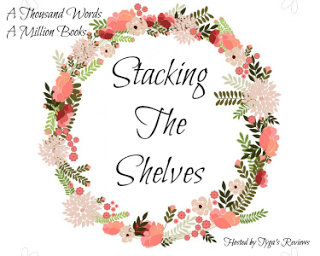 I'm very impressed with Chloe Seager's writing and you can read more about it in my review here. 1. 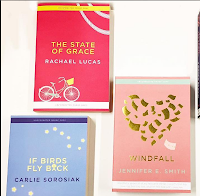 Windfall by Jennifer E Smith: I was very surprised when I saw this in my second surprise parcel from Pan Macmillan India is as many weeks, because they'd already sent me a finished copy, and this one was an ARC and I'm SO EXCITED to own both! Yay for my bookish collection! 2. 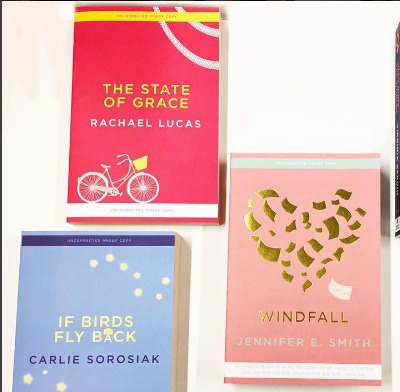 The State of Grace by Rachael Lucas: I first saw this book on the My Kinda Book (Macmillan Children's) Instagram Page and it had be intrigued. The ARC had such a pretty colour and this book is all about Asperger's and COUNT ME IN, OKAY? So when Pan Macmillan sent me a surprise ARC of the book, I was BEYOND thrilled to start reading it. Which will hopefully be sometime this week. 1. 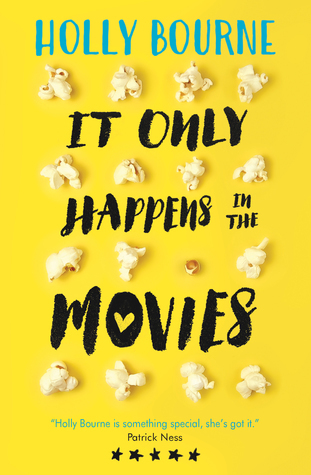 It Only Happens In The Movies by Holly Bourne: I was looking to the link to this book on Goodreads for this post when I realized that I DIDN'T ADD IT TO MY GOODREADS TBR. I mean. HOW EVEN? I've been dying to read this book and I FREAKED OUT when the lovely folks at Usbourne sent a copy to me! I WILL DEFINITELY be reading this book soon (before it releases in two weeks at least) and I can't wait to get blown away by Holly Bourne yet again! 1. Water In May by Ismee Williams: I just finished reading this book earlier this week and it is LIFE. I haven't been so moved by a book in a long time and seeing Mari Pujols' story unfold as she fought relentlessly for her unborn baby with a serious heart defect was BRILLIANT. I highly recommend that you guys pick up this stunning book because you will not regret it. You can read my full review here. 1. 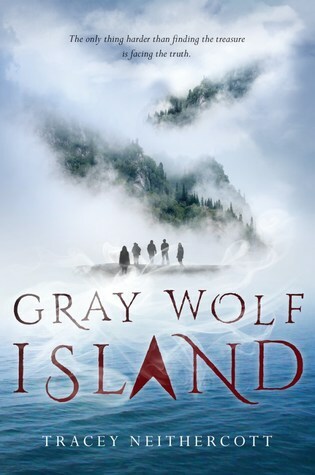 Gray Wolf Island by Tracey Neithercott: I saw Korrina from OwlCrate reading an advance copy of this book and I knew it would be one I HAD to read. It's about a crew in a mysterious town on a treasure hunt and AAH supposed to be PERFECT for fans of The Raven Boys. I can't wait to dive into it! 1. 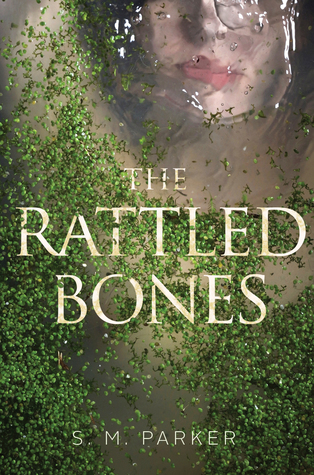 The Rattled Bones by Shannon Parker: The AMAZING Shannon Parker who is also the KINDEST human I've had the pleasure of knowing over the internet sent me a hardcover of her latest book all the way to India - which is SIGNED and includes a Bookmark and AAH. This is a feminist ghost story which sounds AMAZING through just those three words and I can't wait to dive into this BEAUTY. 1. 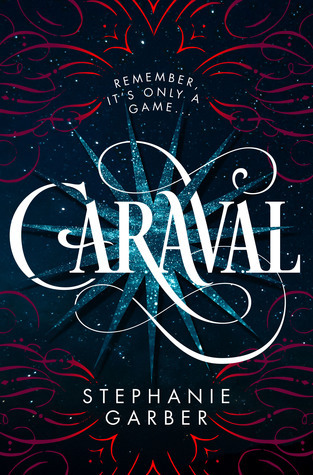 Caraval by Stephanie Garber: This has been the NUMBER ONE hyped book of 2017 and I honestly cannot believe that I still haven't dove it yet. Let's just blame it on the size of my review copy TBR but I will DEFINITELY be diving into this BEAUTY sometime before this year ends because what sort of bookworm would I be if I didn't? 2. 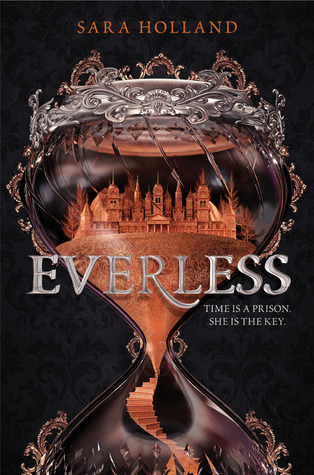 Everless by Sara Holland: It's currently that time of 2017 when all the spring 2018 ARCs are beginning to circulate. It's also that time when my faith in JUST HOW COOL IT IS TO BE A BOOK BLOGGER gets renewed because I AM ACTUALLY HOLDING IN MY HANDS, A BOOK THAT RELEASES NEXT YEAR. Everless sounds SPECTACULAR, the cover is ART and I can't wait to start. 1. 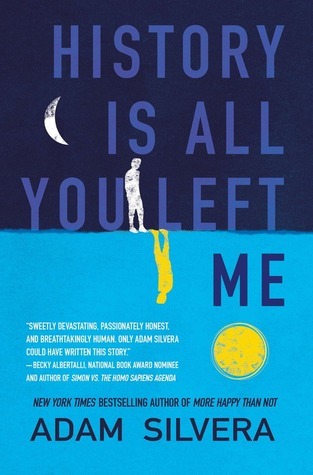 History Is All You Left Me by Adam Silvera: When I saw this book available for HALF PRICE on Amazon IN, and in HARDCOVER, I hit the buy button as FAST as I could. 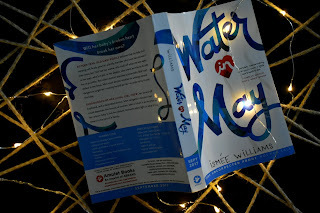 I surprised myself and actually READ THE BOOK and didn't keep it in my TBR for forever and GAAH it wasn't as good as More Happy Than Not but it was still a beautiful, heartbreaking Adam Silvera book.